Nuhacet Guerra is a choreographer, dancer, performer, teacher and assistant, based in Brussels. He born in 1985 in Las Palmas, Spain. Since 2015 he has been working with Wim Vandekeybus/Ultima Vez on the creation and tour of ´Speak Low if you Speak Love´ , performing in the retrospective piece ´Spiritual Unity´ and also at the revival of ‘In spite of wishing and wanting’. At the same time he has been working on his own projects as choreographer/Soloist, his most recent work ‘My Way’. 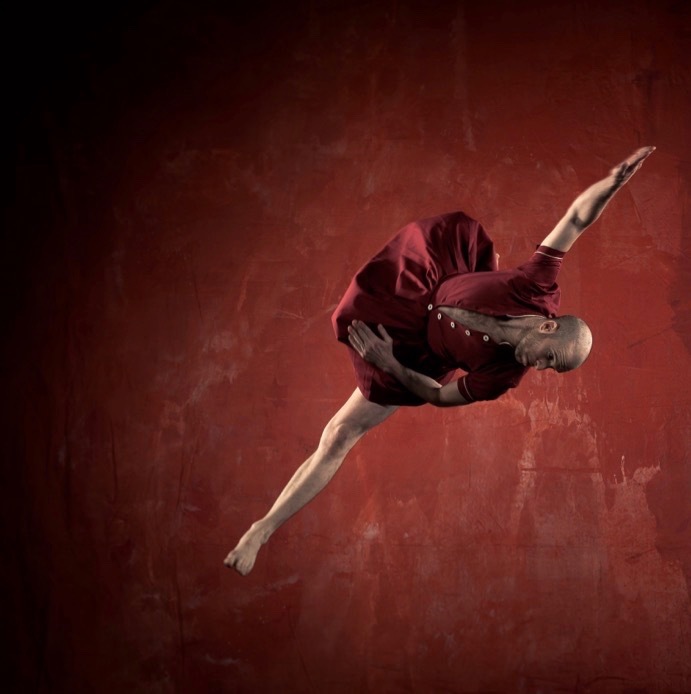 He has also worked extensively as freelancer across several European countries with recognized professional dance companies including Staatstheater Braunschweig under the direction of Jan Pusch, Islanders by Jo Strømgrem, Clear and Disorder by Annabelle Bonnéry (Germany), ‘UP’ for József Trefeli Company (Switzerland), ‘Espejo’ for José Besprosvany Company (Belgica), ’Shine-on’ by Pedro Berdäyes (Spain), ‘I don´t know’ by Jose Reches (Spain), amongst others, as well as working extensively with Que Tal Estas Company between 2003 and 2006 performing in works including ´Tag´ directed by Natalia Medina. The teaching experience includes workshops for companies and institutions, including Ultima Vez Studio the which he is one of the company’s current teachers, and which has been working as well as assistant of Wim Vandekeybus, Festival of Poland Na Bosaka (Poland). He also has been teaching as an international teacher in: ArteXXI (Argentina), Studio Harmonic (France), Perfordance (Spain), Center La Fenice-Lust ASD (Italy), Danza dell´Arte (Belgium), Descalzinha Danza (Spain), University of Music and Dance Cologne (Germany), Space Belgica (Belgium), Canarios dentro y fuera (Spain), Teatre Molière-Sète (France), Pulso Academia Danza (Chile), DansCentrumJette (Belgium), STUK-Open Stage Festival (Belgium), GUIdance – International Festival of Dance (Portugal), The Workshop Series-Chez Bushwick (New York), Peridance Capezio Center (New York), Gibney Dance Center (New York), amongst others, as well as teaching Capoeira in Spain and The Canary Islands. Nuhacet was graduated at the Real Conservatory Professional of Dance of Madrid ‘Mariemma’, graduation with the award of ‘Best Dancer’ of the promotion of 2011, as well as the Extraordinary Dance Award of the community of Madrid. This workshop is a training. What we seek is to first connect with ourselves through conscious meditation while we warm up at the same time and connect with the ground. There you can develop a physical technique while continuing to work on intuition and improvisation in a constant search for growth and safety in one. At the same time, we work on being aware of the connection with the ground we walk on and the air that surrounds us, playing with the imagination and developing creativity while we dance and train. We will use the roots we have to connect and find that solidity that we carry inside to be able to dance without losing our essence, without disconnecting from ourselves. But at the same time we connect with the companions that surround us. Without forgetting to work strength, resistance, speed, balance through different supports, acrobatics or jumps with reception to the ground. All this through different combinations of material and guided improvisations. A way to approach physicality from the awareness of weight, strength, supports on the ground and the use of it from the awareness of gravity. How to manage energy without losing dynamics. How to link movements taking into account their difficulty, in search of neutrality and energy saving. Using the precise impulses, the necessary stage presence to be present, the anchoring of each joint and the coordination of the limbs in order to be effective and fast. We will learn how to use our body, towards impossible limits, reaching as far as everyone can. Seeing the amount of things we are capable of doing and forgetting the negative points. Observing that blank canvas that is our body / mind as an infinite tool.